11 simple ways to bond with the people in your life. We are social beings by nature. Connecting with others is what provides richness in life, makes us feel safe, and has us recognize that we’re part of something greater than ourselves. Yet we sometimes choose to stay behind a wall of emotional (or physical) distance, even in our closest relationships. As a result, our world contracts and we’re robbed of living a fully dimensional life. Mindfulness helps us to wake up to the “choice points” in our relationships when we can decide to connect a bit more by listening, communicating, and allowing our hearts to open. Making eye contact with someone activates what psychologist Stephen Porges calls our Social Nervous System, which can relieve stress and create a deeper sense of connection. It is hard not to feel intimate and vulnerable when looking into the eyes of another person—even a stranger. Try it! It may feel funny at first, but you will find a softening in your heart and a sensation of love flowing before you know it. There’s a difference between hearing someone and actively listening to someone. The next time you’re having an in-person conversation, notice the posture and body language of the other person. Tune into the tone of their voice, and absorb the meaning of their words. See if it’s possible to put aside your own response while listening to them speak. When we feel listened to, we feel cared about and this increases a sense of mutual love and connection. As mammals, physical contact is essential to our well-being. American psychologist Harry Harlow’s famous study on maternal deprivation with rhesus monkeys demonstrated that touch provides a crucial psychological and emotional resource in our development. Touch is also a primary way we communicate, feel safe, soothe our nervous systems, trust one another, and convey love and compassion. Take a day to experiment with actively reaching out to your loved ones with small touches (on the hand, shoulder, knee, or arm) and see what you notice—perhaps it’s a greater sense of connection, increased compassion, or an open heart. Very few things feel better than a good hug. Science shows that hugging can reduce blood pressure, alleviate fear, soothe anxiety, and release the “love” hormone oxytocin. Psychologist Stan Tatkin suggests that in order to align nervous systems, prevent arguments, and feel more connected people hug until both bodies feel relaxed. Who can you hug today? The late rabbi and social activist Abraham Joshua Heschel said, “Life is routine, and routine is resistance to wonder.” One of the essential attitudes of mindfulness is curiosity, and we can bring this into our relationships to foster warmth and trust. Our minds often tell us that we “know” someone so well that we can predict their behaviors and responses. While this may be true some of the time, it also stops us from clearly seeing the person in front of us—instead we just see our “idea” of that person. See if you can be open, curious, and interested in those close to you as if you are getting to know them for the first time. You might be surprised what you find. Nothing breaks a bond like flaking on plans. And yet there are often reasons why we don’t follow through on commitments. Sometimes we’re overextended, saying “yes” to plans or responsibilities when we mean “no.” Be honest with yourself, and only take on what you can handle. Identify the people in your life who bring you down, and those who nourish and energize you. And then figure out if, and how, you can work with your relationships to those people to foster mutual trust, respect, and appreciation. 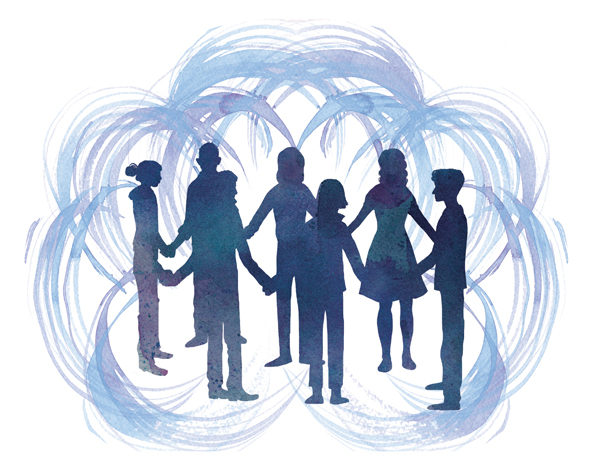 Our connections flourish when we take time to get to know ourselves, and others, better. Most of us have been guilty at one time or another of not being clear about what we really need or want in the moment. This indirect form of communication rarely yields the outcome we want. In our program Connecting Adolescents to Learning Mindfulness (CALM), we emphasize the importance of Non-Violent Communication, which assumes that we all share the same basic needs and that our actions (knowingly or unknowingly) are attempts to get those satisfied. When we learn how to identify and express our own needs clearly, we naturally move toward greater understanding, compassion, and connection with the people in our lives. Kindness is like a magnet. People like to be around others who are kind because they feel cared about and safe with them. The age-old Golden Rule, “Do unto others as you would want them to do to you” still rings true today. It’s also reciprocal. When we practice kindness, not only do we feel better, but we help others feel good, too. And this just increases opportunities for positive connections throughout our day, which, in turn, contributes to our own health and well-being. We’ve all been guilty of saying or doing something we wished we hadn’t. It happens. But we can certainly make more of an effort to be thoughtful with our words and actions. Try this experiment for a week: Before speaking to someone, consider the following: Is it True, is it Helpful, am I the best one to say it, is it Necessary, is it Kind? See how your interactions change. We might even imagine what the world would be like if everyone practiced this a little more. DNA research has revealed that regardless of gender, ethnicity, or race, humans are 99.9% the same. If you want to foster a greater sense of connection in your life, as you go through your day and encounter someone who you think is different from you, silently say, “Just like me,” and see what comes up. You may just experience the awareness that each of us wants the same things: to feel cared for and understood, and to experience a sense of belonging. Be on the lookout for moments when you notice that others are taking care of themselves, experiencing a success or accomplishment, or even just having a good day, and see if you can be happy for them. Sometimes this joy for another’s happiness naturally arises, and other times it’s something we can intentionally foster. If you feel so bold, tell them, “Good job” or “I’m so happy for you.” Not only can this create or strengthen your connection, but it can amplify your own good feelings. If eye contact, touch, and the way we use vocal tone (prosody) can help create connection, technology dilutes it. It pulls our gaze away and reduces human physical touch and can give us a sense of connection that often stays at the surface. Consider how you can create some tech-free zones throughout your day to increase your relational awareness and foster deeper connections in your daily life. 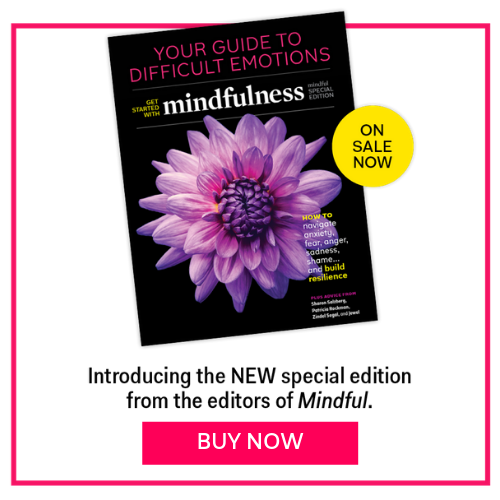 This article originally appeared in the December 2016 issue of Mindful magazine.